Here's a little cracker you won't want to miss. Great location, tidy house, good-sized section. This home has it all! 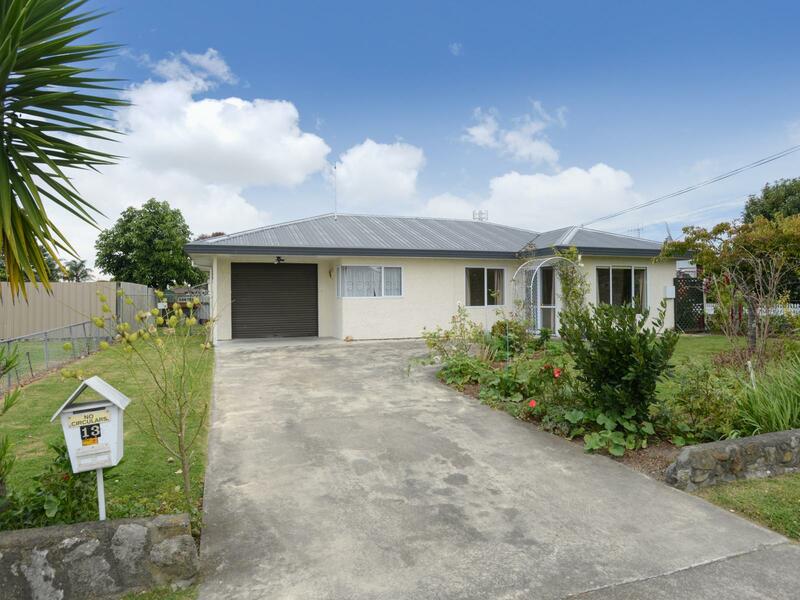 Ideally located on a quiet street in popular Greenmeadows, this lovely home will be sure to attract first home buyers or those looking to downsize. Step through the front door into a large open-plan lounge and dining room that flows easily through to a good-sized kitchen that includes a dishwasher. This functional living space has a heat pump for comfort, and is positioned to capture all-day sun. There are two generous bedrooms, the master is large and includes plenty of wardrobe space, while the second bedroom is sizeable also. The bathroom includes both a shower and bath. Step through the single-car integral garage for access to the back yard where you'll find an easy-care yard that includes citrus trees, vegetable planter boxes, and a cute garden shed. Viewed from the road, the front gardens are established, well-cared for and easy to manage. The Greenmeadows shopping centre is only a five minute walk away, and the property is close to bus stops, amenities, and zoned for good schools. Don't delay, call today to view or come and see us at the open home. RV $385,000. Have you considered buying or selling a property? Or do you know of a family member, friend or colleague who is considering buying or selling a property? Contact Shayne Hogg to experience next level service.